The Commercial Aviation career program is for men and women who are interested in pursuing a career in aviation. The program provides students with the necessary experience in business, along with the aviation training that is required. Thus, in addition to receiving the experience of aviation, graduates are prepared to enter the field of commercial aviation. When studying Commercial Aviation you will have knowledge of two distinct and separate areas of study: flight training and business studies. Commercial pilots can be cargo pilots, tour pilots, or off-track pilots, that is, air operations managers. They can also be flight instructors, ferry pilots or tow glider pilots. For this, it is necessary that they learn to be a pilot, as well as practice certain flight hours. The importance of the commercial aviation industry worldwide is now superlative. The aviation industry of today offers many job opportunities. As air transport systems increase in complexity and the role of pilots has changed, airlines are looking for employees who possess an optimal combination of academic knowledge and aviation skills. You can read benefits, opportunities and salary of travel and tourism courses here. A commercial pilot operates an aircraft of an air transport company, usually called an airline. For large aircraft, the commercial pilot may be part of a larger team needed to maintain and operate the vehicle safely. In smaller aircraft, the commercial pilot can work alone. The commercial pilot of an airline is a prestigious position that requires high levels of training and experience and occupies a cultural position similar to that of the captains of the ships in previous times. 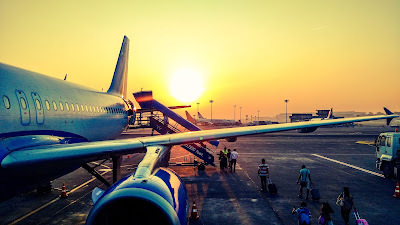 In general, regular commercial aviation is an activity carried out by airlines and related service companies, large or small, to meet the demand and services required for the air transport of people, goods and merchandise. Graduates in Aviation can dedicate themselves to work in the following fields. These professionals focus primarily on aircraft engineering. For this, they have scientific and technological training to project, build and attend to the operation of all types of aircraft. Institutes of the space area. These professionals can carry out research and development works focused on the aerospace sector. Air transport companies and airports. This is the area where the aeronautical engineer develops as a fish in the water. Their training can make them work from the management to the construction of an airport. You can join airport job by doing short term travel and tourism course. If you want to look an institute here is the website of institute who is providing travel and tourism course in delhi. As professionals in the design and construction of aeronautical devices, they are also capable of repairing and performing maintenance tasks. Not only do planes fly through the sky, the design and construction of parachutes also need good professionals behind them. Apart from regular aircraft, the military also needs aeronautical engineers who know how to maintain their operation or repair it when necessary. Hence there are lots of future prospect after the Aeronautical engineers. After Aeronautical engineers one can easily get good package as there are many option to choose after study.